Nike today introduced new iPhone-controlled self-adjusting basketball shoes based on its latest FitAdapt technology. The new Nike Adapt BB shoes feature an advanced power-lacing system with a custom motor that senses the tension needed by the foot and adjusts accordingly to ensure a snug fit. 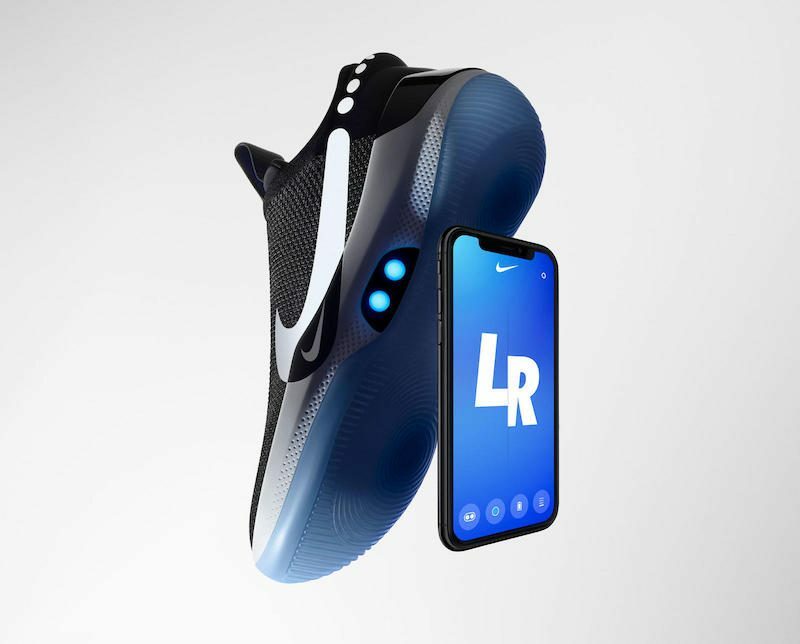 Using buttons on the shoe or the Nike Adapt app for smartphones, basketball players can adjust the fit on the fly during a game. For example, during a timeout, a player can loosen the shoe before tightening it up as they re-enter the game. In a forthcoming feature, Nike says players will also be able to prescribe a different tightness setting for warm-ups. 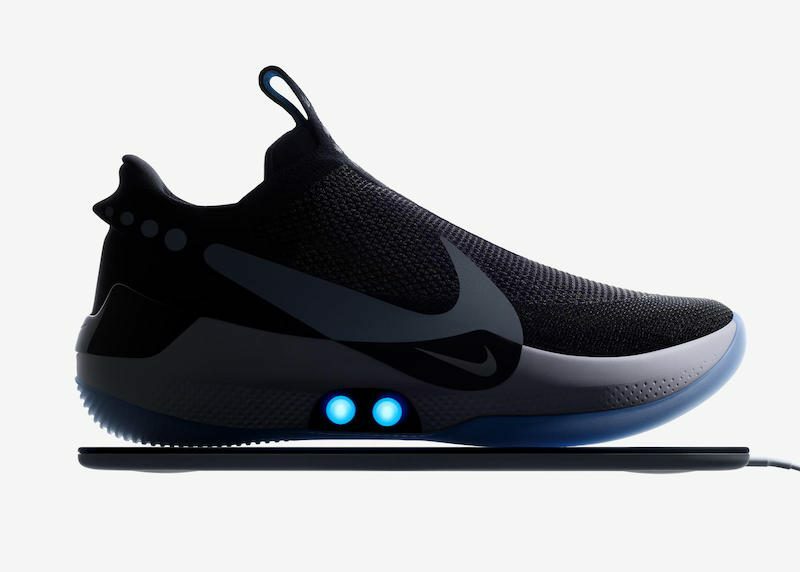 The shoes are equipped with a 505 mAh battery that can last between 10 and 20 days and charge wirelessly on Nike's shoe-sized Qi-compatible mat in three hours. Nike says its new Adapt BB shoes are an evolution of its HyperAdapt 1.0 shoes from 2016, the athletic wear company's first multipurpose performance shoe to feature power lacing. The Adapt BB shoes will also be Nike's first continually updated performance product, as they will receive opt-in firmware updates. The shoes are priced at $350 in the United States and will begin shipping on February 16, according to Nike's online store. A solution to a problem that doesn't exist! This is tech for the sake of tech in my opinion. "I'll meet you there, I need to charge my shoes first"
Just awesome to see what tech can do these days. Any remarks on pricing, or potential problems are irrelevant for these types of products; it's purely Nike showing off what they can do. And you can buy it too! Whats the next item I will have to charge? My underwear? "Internet of things" really is synonymous with solutions for problems that don't exist. Help! My self lacing sneakers are pulled too tightly, it's cutting off circulation to my foot. My iPhone has lost its charge. solution to a problem that doesn't exist! I just logged in to type the very same words. But without the exclamation mark! Interesting, but it's a solution to a problem that doesn't really exist. We're pretty good at adjusting our shoes manually. For example, during a timeout, a player can loosen the shoe before tightening it up as they re-enter the game. or they could just retie their shoe....Are they supposed to be fumbling around with their phones during timeouts?